Kevin Hunter’s life has come crumbling down after his wife Wendy Williams served him with divorce papers, fired him as executive producer on her talk show and kicked him out their shared Livingston, New Jersey home. Of course, the crumbling was self-inflicted since Kevin had a baby with his mistress 10 years and then bought her a push present in the form a new Ferrari purchased using Wendy’s money. The Blast now reports that Kevin has called the police asking for backup since paparazzi are swarming his house in an aggressive manner. The publication says Kevin is claiming harassment by the media as they try and cover the ongoing divorce between him and Wendy. The police arrived on the scene and reminded the press to stay f the property. “I am not proud my recent actions and take full accountability and apologize to my wife, my family and her amazing fans. I am going through a time self-reflection and am trying to right some wrongs,” Kevin previously stated. Wendy Williams and her estranged husband Kevin Hunter are getting closer and closer to cutting all ties since announcing a divorce just over a week ago. Since the big news, Kevin has been dropped from his executive producer role on Wendy’s show and was given 48 hours to vacate the home he shared with Wendy and their son. The latter became very real since the latest end credits that ran for Wendy’s show no longer listed Kevin’s name as an executive producer, but rather just Wendy’s. The move comes after Kevin’s departure from the show was confirmed yesterday and it was also reported that he got a $10 million payout as well. “I am not proud my recent actions and take full accountability and apologize to my wife, my family and her amazing fans. I am going through a time self-reflection and am trying to right some wrongs,” Kevin said his cheating and getting his mistress pregnant. Dee Barnes is one the most recognized and revered hip-hop journalists. Earlier today, she sat down with Wendy Williams where she discussed some her most memorable interviews. She dove into detail about her interview with Ice Cube which resulted in an altercation with Dr. Dre and N.W.A. Barnes continued to speak on the altercation where Dr. Dre brutally assaulted her. Barnes elaborated further on the assault before explaining that she managed to get away and tried to escape to the women’s restroom but Dre followed her in there. “He continued to assault me in the women’s restroom,” Barnes told. “Beating you up? Were you sexually assaulted?” Wendy asked. “I’m not comfortable talking about everything right now,” Barnes replied tearfully. Your silence is speaking volumes,” Wendy replied. Kevin Hunter had to pack up and move out his shared home with estranged wife Wendy Williams, but it doesn’t mean he’s done thinking about the well being his soon to be ex-wife anytime soon. The Blast reports that while Kevin understands Wendy’s move to divorce him, he’s worried that without his protection and guidance, her empire will come crumbling down. Sources tell the publication that Kevin feels as if he “protected Wendy’s] interests” for the sum her career and blocked any scammers and bad business deals from going down. Kevin was not just the executive producer her talk show, but he was her manager and he thinks that her being alone may be a bad idea since people could swoop in and take advantage her. Apparently, Kevin even questions some the staffers on set, who he believes could have ill intentions. “I am not proud my recent actions and take full accountability and apologize to my wife, my family and her amazing fans. I am going through a time self-reflection and am trying to right some wrongs,” Kevin stated once the divorce was made public. The Wendy Williams Show staff was left to scramble for a guest at the last minute after WWE’s Sasha Banks canceled. The WWE star was set to make her debut on The Wendy Williams Show but after canceling a few hours before the show began taping, it looks like the talk show won’t be inviting her back. According to Page Six, the show’s staff was infuriated with Banks’ cancelation and a source close to the show assured that she won’t ever be booked to appear on the show in the future. Well, it looks like the opportunity won’t be there for the foreseeable future but hopefully, Wendy and the staff will be able to get over it and invite Sasha back on the show. We’d like to fall into the illusion that entertainers have always strived to achieve their goals being accomplished artists, but many come from humble beginnings that ten include trauma and serious hardships. We’ve all watched as Wendy Williams has recently opened up about her addiction issues and struggles with sobriety. She’s shared her story throughout her career, at times to her detriment as people have used it against her, but she’s used it as a way to help others and even launched her organization, The Hunter Foundation. Empire actress Tasha Smith has an extensive resumé and has been on both the large and small screens for over 20 years, but the Camden, New Jersey native’s life almost went a different route. She’s known as having a loud, outspoken, and recognizable voice (if you’ve ever seen Why Did I Get Married? then you already know), and she isn’t afraid to speak her mind, but according to her, she was much different in her early life. Smith said that when she turned 18, she left Camden to follow her dreams by moving to Los Angeles. She landed small roles in various projects and was later featured in shows and films including ATL, Daddy’s Little Girls, Playas Ball, The Steve Harvey Show, The Parkers, Girlfriends, and much more. Before Wendy Williams’s husband, Kevin Hunter, reportedly welcomed a child with his mistress 10-years, it seems as though he made moves to get his wife something special. Page Six reports that more than two weeks ago, Kevin stopped by Flawless Jewelry to have Wendy’s Franck Muller watch “upgraded” by adding 25 carats worth diamond on the band and the face the watch. The publication notes that the order was placed well before the birth Kevin’s alleged new child. The accessory is now valued at $40,000 and was picked up from the jeweler on Thursday, March 28th. It’s unclear just how much Kevin spent on the upgrade. Considering that Wendy has been spotted without her wedding ring a few times in the last few weeks, we’ll have to see if she even wears her upgraded watch from her husband when she returns to her talk-show next week. Bryan Christopher Williams A.K.A. Birdman turned 50 last month and the milestone age has inspired him to look into tattoo removal for the number ink on his face. The “Money To Blow” rapper paid a visit to The Wendy Williams Show not too long ago and discussed how he’s chatting with 50 Cent who made similar moves a while back. “I didn’t want to take the head tattoos] f, but I want to take the facials f,” he said. “And I was asking my partner, 50 Cent]… ’cause he removed his tattoos. So I wanted to go to somebody who can take these tats f my face.” If for some reason he can’t get them removed, Birdman explains how it won’t be an issue. As we know, Wendy Williams is going through a lot right now. She’s battling her substance addiction, dealing with health issues, handling the controversial cheating scandal with her husband (who reportedly had a baby with his mistress) and has once again taken a hiatus on her daytime talk show. While we can’t say for sure what’s going on with Wendy and husband Kevin Hunter, we do know that Wendy once vowed to leave her man if he cheated, had a baby with another woman, among other things. In 2001 Wendy came out with a memoir called Wendy’s Got the Heat, that talks about her relationship and how Kevin has cheated before and how she wouldn’t let it happen again. “The only thing that would make me walk out for good is if he lied about anything – if he was in love, if she was just as successful at what she does as I am in my career, if she had his baby,” she wrote, The Daily Mail. 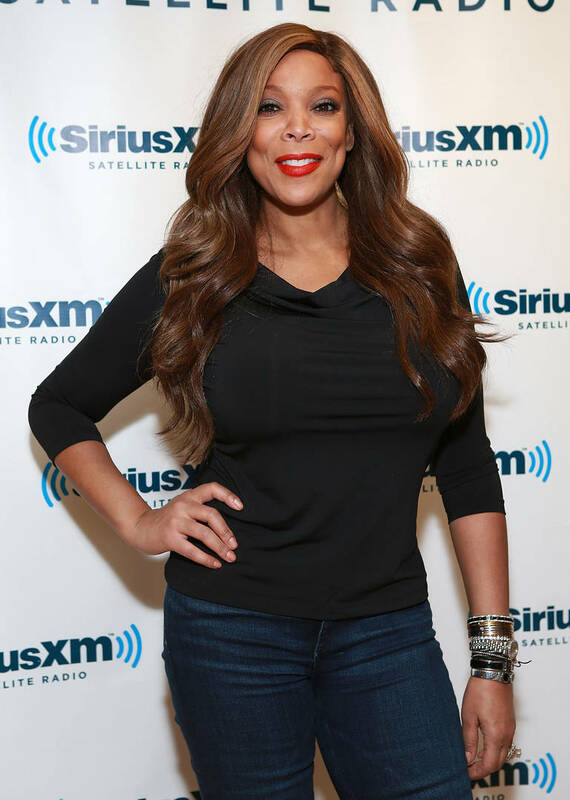 Wendy Williams is not ending the month on a strong note since the talk show host is being tested on all levels her personal and pressional life. For weeks now there’s been reports that her husband, Kevin Hunter, welcomed a new child with his mistress and while nothing has been confirmed, Wendy was previously been spotted without her wedding ring. It’s important to note that she was recently spotted with the ring back on her finger, but as today (Friday, March 29th) The Daily Mail has seen the talk show host without her wedding ring again, after her self-titled talk show announced a week hiatus. Page Six reports that the break was scheduled in the fall and it’s simply just a coincidence that it’s taking place at the height the controversy in her personal life. Wendy has been battling her addictions lately and dealt with relapse with alcohol not too long ago. We can only hope the week sets her up with the help she needs and she makes a strong come back.